If you were to survive a weekend without football, fear not. The Alliance of American Football kicks off tonight (Atlanta-Orlando and San Diego San Diego – both are CBS at 8 pm ET Saturday, with regional coverage, and can be streamed on CBS All Access) . A quick note on Saturday at the CBS. They are being regionalized, similar to Sunday NFL games. Most of the country will be in San Diego at the Southeastern part of the country will get Atlanta at Orlando. Will Brinson joined the AAF kicks off this weekend. On the Pick Six Podcasts to Break Down on the Pick plenty of offense here. Mike Riley's The San Diego Fleet are coached by Mike Martz, the me behind the Greatest Show on Turf. It will be a good idea to find out what's going on in the future. Memphis at Birmingham: Heading into Week 1, You've got more focus on coaching names than player names. Generally speaking, that's because the biggest star players are in the NFL already. 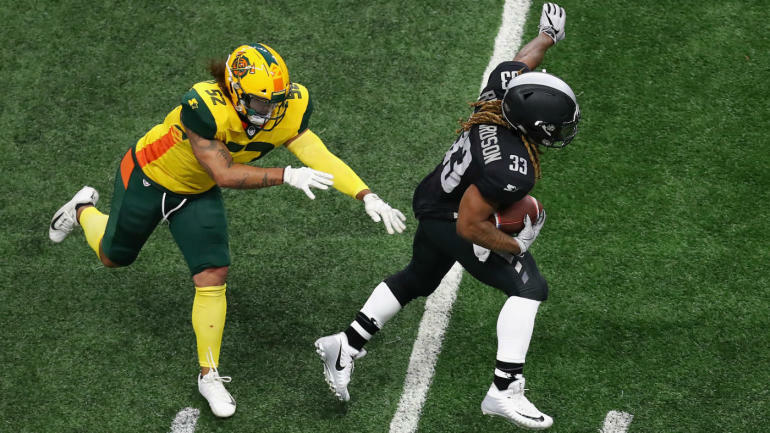 One exception is Birmingham Iron running back Trent Richardson. The former first-round pick-up in the NFL is the best way to get his career back on a better trajectory. Let's see what he does in the week 1 against the Memphis Express. Salt Lake at Arizona: The Arizona Hotshots are the trendy preseason pick to win the AAF title … but who knows? I do get the impression of John Wolford or Trevor Knight in Arizona. As for Salt Lake, coach Dennis Erickson's first game with the Stallions will be in Tempe, where they were the coach at Arizona State from 2007-11.